Hart had been an office boy with the Club during the war and then became a player until retirement in May 1963. An unfortunate series of injuries restricted his first team appearances to 178. Nevertheless he was still an important member of McDowall's side and was unlucky to miss out on Wembley in 1955 through injury. 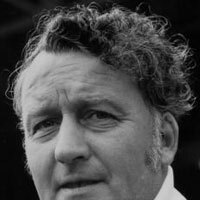 He was a popular member of City’s backroom staff during the sixties and early seventies and, following Allison's departure, he became the surprise choice as manager. Unfortunately Hart’s health deteriorated during his first few months in charge and he stood down after only six months. The feeling of most supporters was that the City Board had taken what seemed the easy option when they appointed him, and that the directors should have sought a more experienced professional. After leaving the manager's post, Hart spent some time recuperating before finding employment at the builders Faircloughs. He still continued to attend City’s games and remains a popular member of the Former Players’ Association. His sons Nigel and Paul also became footballers, and Paul himself became a football manager.